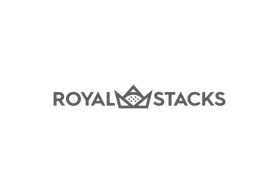 Royal Stacks is dedicated to bringing a satisfying burger experience from the best locally sourced produce. The eight burgers here take a similar approach – all are beef, except for one vegetarian option. The simplest is the Single Stack: one beef patty topped with tomato, butter lettuce, American cheddar, special burger sauce and pickles, and wrapped in a soft white bun. Additions include bacon, raw onion, jalapenos and a monstrous, artery-clogging mac’n’cheese croquette. There are fries and Tater Tots (known in this hemisphere as Potato Gems). Mark Mariotti from St Kilda’s 7 Apples Gelato is in charge of the frozen custard, which is technically just ice cream, but a little smoother and silkier. Expect some interesting flavours, such as cheesecake or Kinder Surprise. The frozen custard is also used in the shakes.